Check out these reviews of some available cloud based apps. After reading the review, give the app a rating. 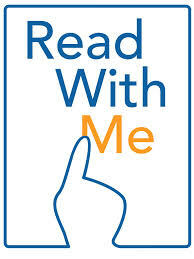 Edmodo is appropriate for use with all levels of students, though it especially appropriate for grades 4 and up. Edmodo functions as a learning platform, and teachers can use it to deliver curriculum to students via the Internet. The site allows students to work individually and to work collaboratively with their teacher and each other. Once a student has an Edmodo account, all he or she has to do is input the code provided by the teacher to add additional classes. 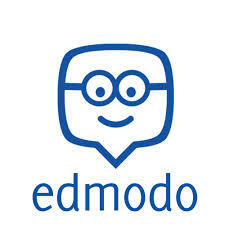 It is a secure platform and only the students and teachers in each Edmodo group have access to the information being posted. Edmodo acts as a teacher tool to help streamline classroom routine, but it also provides teachers the opportunity to teach responsible interaction via digital means, reinforcing good digital citizenship. In addition, it gets students ready to use online tools after they graduate from school. Edmodo is a free social networking site for education that includes many popular features of pricey learning management systems. Teachers are able to create classes, make assignments, upload resources, create quizzes, administer polls, start discussions and send announcements in a secure online environment. While Edmodo lacks some of the course management features that other services offer, its ease of use more than makes up for its shortcomings. Students self-enroll, meaning that even secondary teachers who see well over 100 students per day can easily build an online learning community. Designed specifically for the K12 environment, Edmodo has safety in mind, and there is no second-guessing about which safety buttons a teacher should choose. In addition, parents of students can request a code to track their student's progress and can even opt to receive notifications about upcoming projects and overdue assignments. Edmodo recently opened its platform to outside developers, so what is already good should only get better. With a history of rave reviews on the business, personal, and home-management fronts, Evernote has moved into the classroom. A cloud-based storage system, it allows teachers and students to access information from multiple devices and locations. Students can create notes, snap images, make checklists, or record audio on a mobile device or computer and make the information available on any other device or computer. The information in the notes is searchable, and notes can be tagged with keywords for easy retrieval. Location tagging is also automatically on. Students can create multiple folders to organize notes. Premium accounts can be linked automatically, but even in the free version, kids can share links to their notes or information. This productivity app can shift the way kids manage information in school and the way teachers share it. Once kids learn how to use it, it can enhance their learning by keeping information on hand and organized. The interface is easy to use, especially for the touch-screen generation. Notes save quickly and can be accessed easily. With audio, text, and image capabilities,Evernote can track almost any piece of information. The search function makes finding notes easy, even if kids forget to tag topics. However, the text-within-image searches are hit or miss. The portability of data is really impressive. In a time when many teachers have a personal smart phone and a tablet for school, Evernote takes away the worry of not having the right device when needed. 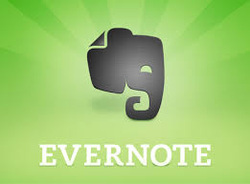 Teachers and students can use Evernote for a range of tasks. Students can collect research for an upcoming project or paper, or teachers can share assignments, resources, or reading materials. A student misses a class brainstorming session? Snap a picture of the whiteboard or capture the smart board and save it on Evernote. The developer's website has many ideas on how to use Evernote for lesson planning, classroom management, and instruction. Ideas are organized for teachers in traditional K-12 classrooms, higher education, and 1-to-1 initiation schools. Microsoft dubs OneNote a note-taking and management program. 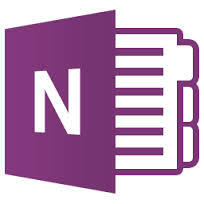 OneNote is clearly intended to be used by one person, as the program creates a single Notebook in which all notes are saved. Within the notebook, there are folders, sections, pages, and sub-pages. Navigating through the notebook is easy enough, but one can become confused until comfortable with the controls. Users can move pages of notes or portions of notes around and this is one of its greatest strengths. You can use OneNote to plan a project, conduct research for the project (there are some built in features to help with online research, as well as integration with an encyclopedia and thesaurus). Research notes can then be arranged to come up with a structure for written materials related to the project. Other features include flagged notes that are readily accessible via a task pane, prioritized lists, the ability to share notes with others via net meetings, the ability to incorporate handwriting and audio clips, and an outstanding screen-clip feature. OneNote is an excellent, easy to use tool for students, writers, people looking for away to organize notes, or anyone who needs more flexibility than Word provides in the creation of documents. OneNote is intended to be used in conjunction with either or both Outlook and Word. It will not be as effective used as a stand alone application. Store Your Files In The Cloud. Access Files Anywhere, Anytime. The first thing you'll notice when opening a document in Google Docs is that it is very user -friendly. The menu options are in the expected places as well as the important editing toolbar buttons. While navigating the application we felt as though we were using less powerful version of Word, however we also liked that fact that we could access our documents from anywhere that offered an internet connection. One of Google Docs’ word processing software features that no one else offers is that when you save your documents you have instant access to them from any other computer. As long as you have an internet connection and can remember your password you are able to log into the website and have access to the program and all of your documents without having to download anything. Users are provided with 1GB of storage space for uploaded files. However, keep in mind that this is only for Google Docs. Photo and email storage does not count towards the Google Docs word processing application limit. 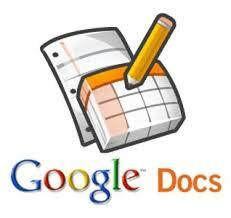 Google Docs editing features are limited to the basic commands of find and replace, cut, copy, paste, undo and redo. However for the average user these are the only tools that are really used. If you are on a budget and are looking for a word processing software application that can handle an average work-load then Google Docs is an option that you should look into. ClassDojo can help individual children as well as an entire class identify areas for improvement in their behavior and set related goals. Teachers set the behaviors, and goals can be based on schoolwide systems or areas identified by you. You can use the mobile app (iOS and Android) to give points from anywhere in the room, which frees you up to move around while providing feedback on students' academic efforts or on behaviors from critical thinking to kindness. The reports feature can be used at the end of a class to show students where their behavioral strengths and weaknesses are. According to the online reviews and testimonials on the ClassDojo site, many teachers have found a complete transformation in their classrooms after implementing the tool. At the same time, ClassDojo may not be for everyone. Its design has the feel of a carrot-and-stick approach to behavior management, so you may find it doesn't match your classroom management style or teaching philosophy. In addition, its effectiveness depends on how you use it. You can create different classes and add students to each class. Each student is assigned an avatar. The avatars can be customized. Teachers then input the behaviors and skills they want students to display, such as being on time, participating, or working hard. Students can earn points by behaving the right way. When teachers click Start Class, the student avatars appear as a list on the screen. Each avatar has a number next to it indicating the number of points that student has. These numbers are green when they're positive and red when they're negative. You can award points through the computer or by using the app on your phone or tablet. If you feel it might be effective, the cute student avatars can be projected onto the board. At the end of class, teachers can display a summary of behavior point totals for a class or by individual student. These reports can be emailed to parents, and parents and students can log in with a personalized, secure code to view their progress from home. Dropbox is a cloud-based storage system that allows users to upload and access files from multiple devices. Files that are too large to be emailed transfer without a problem. Documents can be shared with anyone by emailing them a link. After creating a free account with Dropbox, you can upload files -- including Word documents, Excel spreadsheets, PowerPoint presentations, text, PDFs, music, video, and images -- and access them from other computers or a mobile device (or multiple devices). You can share files, folders, and links to documents with anyone, even people without a Dropbox account. Your files can be shared and edited by people who do have Dropbox accounts, and you can "star" certain files to make them available offline for review. Deleted documents can be recovered, giving data some security when multiple participants are working on a document. Dropbox is available on both Android and iOS devices and on Kindle Fire and Blackberry. Dropbox can introduce students to cloud-based file storage, which has become a common way to organize electronic documents in schools and the workplace. However, many learning-management systems offer file-storage solutions that are easier to use and more integrated with classroom work and communications. Still, it's a versatile tool for inside and outside the classroom. Teachers interested in getting students set up with cloud-based storage should consider all options. Students might take to Dropbox, but a product like Edmodo offers unlimited storage within an educational space kids already access on a daily basis (if you're using it). Still, this tool can help organize your life. Students can create shared folders with documents for groups to work on collaboratively and can turn in projects or papers to an assigned folder. One feature allows you to see deleted files, which can help mitigate accidental deletions or mistaken corrections. It also serves as a storage system for syllabi, notes to parents, assignments sheets, or rubrics for students, and files can be accessed at home, at school, on tablets, and on phones. The primary function of Mover is to move or transfer your files from one cloud storage account to another. It doesn't go beyond that, but it doesn't need to because that is the whole purpose of this web app. My favourite aspect of Mover is that you don't need to download files to your computer to transfer between cloud storage devices - Mover handles that all for you. If you transfer a lot of files you will end up needing to pay for it but everyone gets 10GB of free transfers, which should be more than enough for the casual user. This web app does have some bugs and glitches that need to be ironed out, but it is very commendable. Check it out. Math Bingo wraps addition, subtraction, multiplication, and division practice into a bundle of germy bug fun. Kids choose a username and silly avatar, then individual operators or all four at once, and then easy, medium, or hard difficulty level. Kids try to earn the fastest times among five local users displayed on a device-level scoreboard. High scores are rewarded with bingo bugs that can be slingshotted at a matrix of gold coins in a separate game with separate score. The easiest level features single digits; the hardest includes three-digit sums and products. All operations are single-step. Kids solve simple expressions by tapping the correct answer on a 5x5 bingo card. As with any bingo game, the goal is to get five in a row –- horizontal, vertical, or diagonal. Incorrect answers trigger a quiz show-like buzzer with the correct answer displayed at the bottom, eliminating the opportunity to try again. Incorrect answers are multiplied by two and added to the time score (so lower is better). Be warned: You can't turn off the annoying music. The "bugs" are disgustingly adorable, and colors are bold and bright, but the slingshot game is a bit of a distraction and only mildly fun. Choices empower kids so they’re less likely to get frustrated. Math Bingo doesn't offer any constructive feedback or instruction, so it won't help kids deepen their understanding of math concepts, but it's a useful tool for practicing math operations.